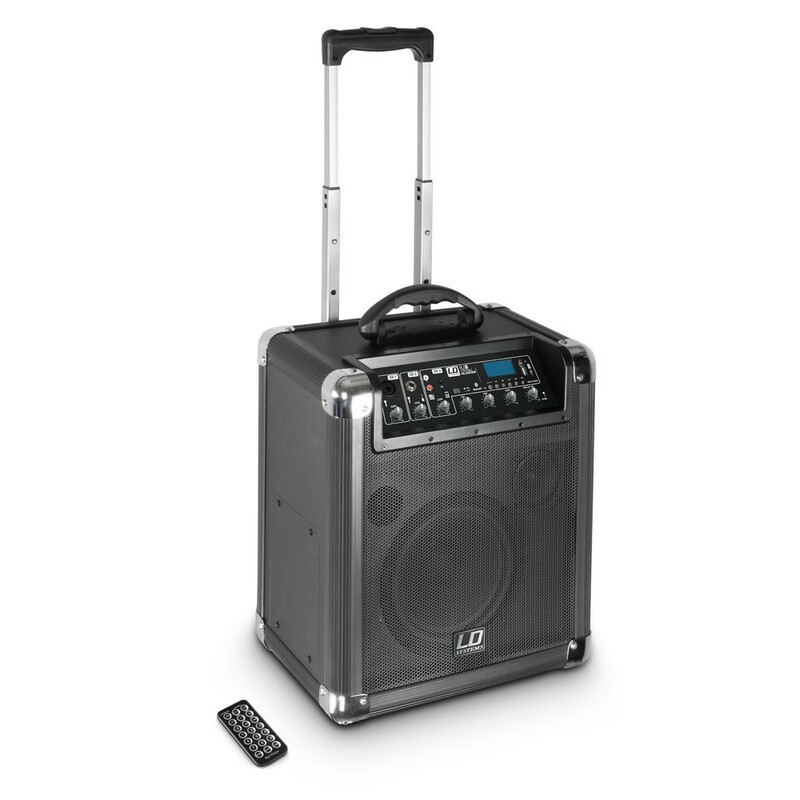 The Road Series 8" active 2-way system takes your sounds anywhere. 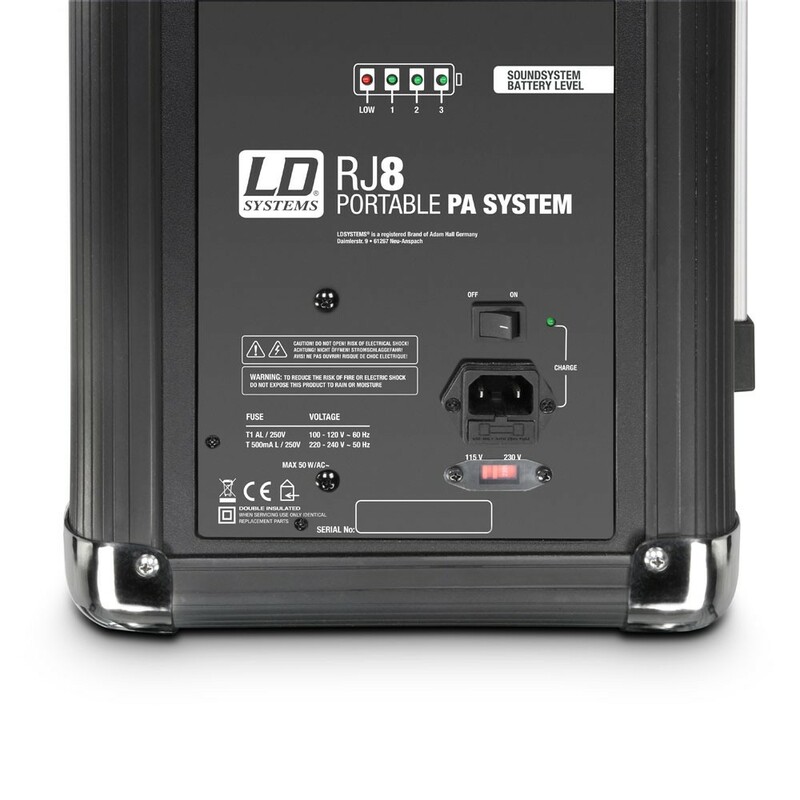 With built-in wheels and extension handles for carting convenience the LDRJ8 features a 90 Hz – 18 kHz frequency range and 100 watts peak output. 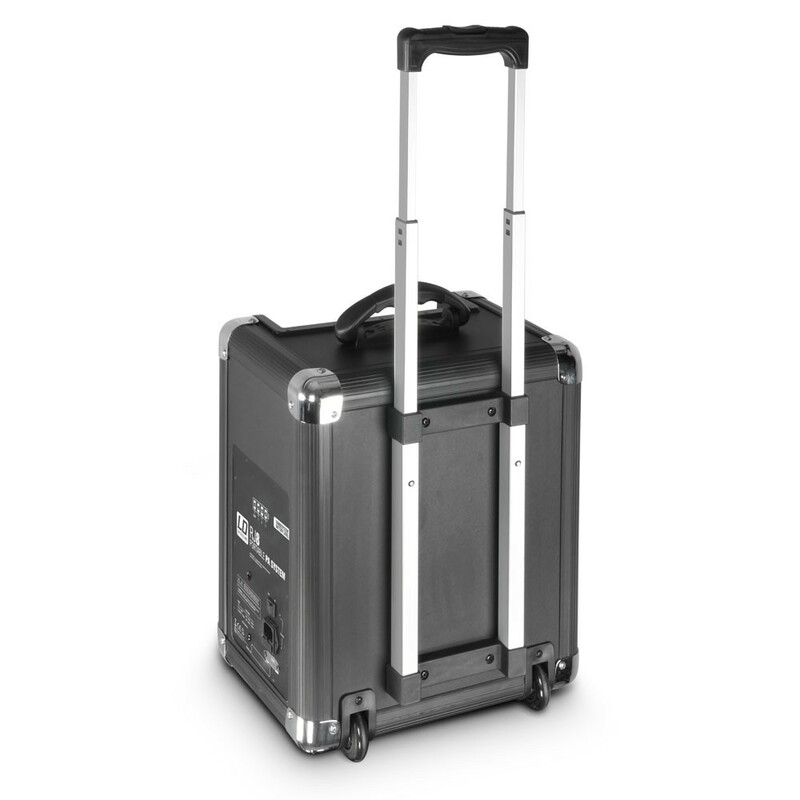 A rechargeable battery pack provides up to 20 hours of continuous operation. 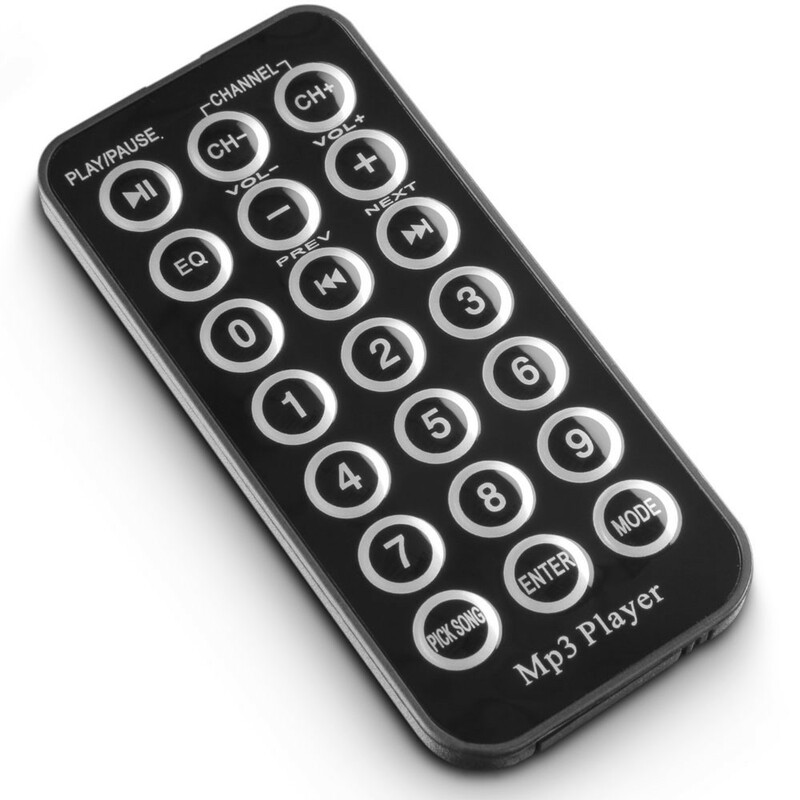 The integrated mixer sports 3 channels with individual volume controls, a 2-band EQ plus an echo and master volume. 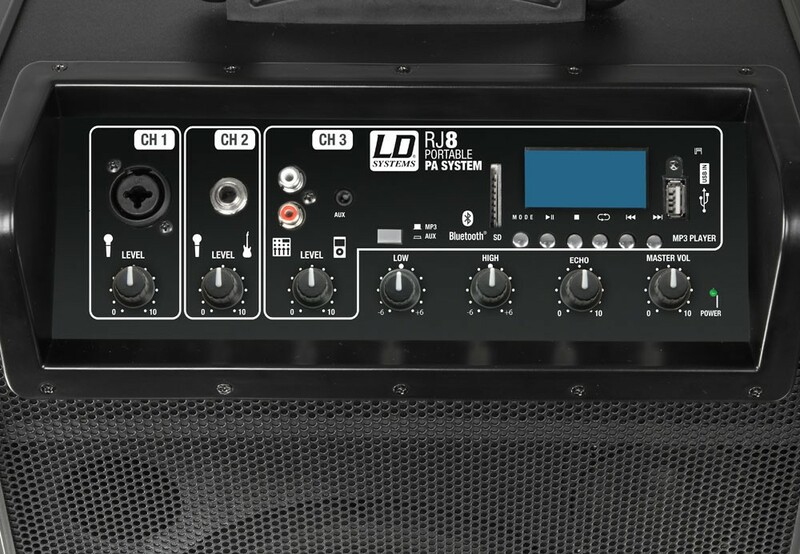 Combo, 6.3 mm TRS jack, RCA and 3.5 mm TRS mini-jack connectors allow for a wide variety of input sources. 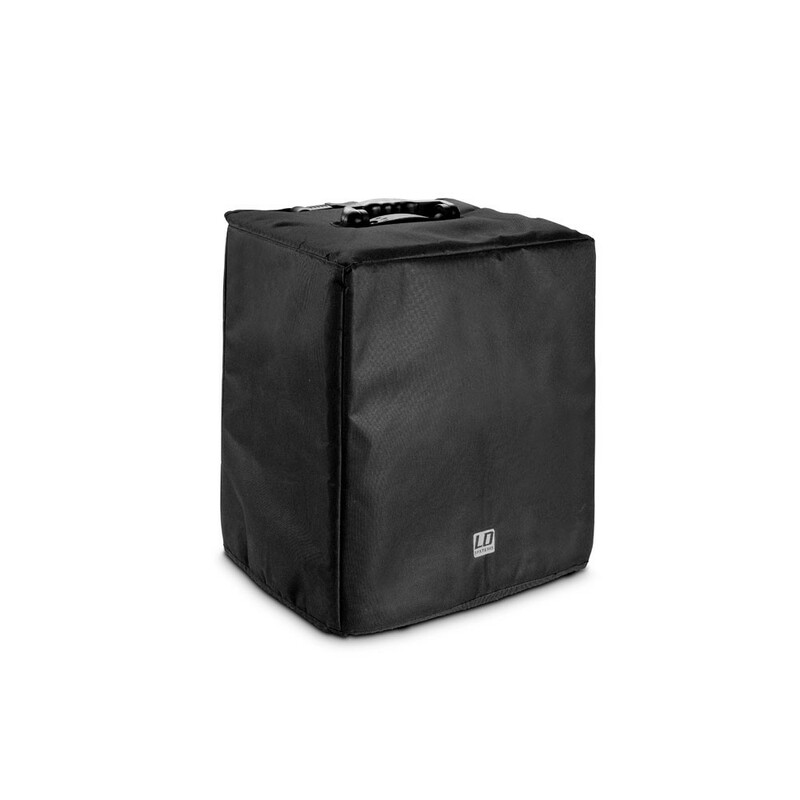 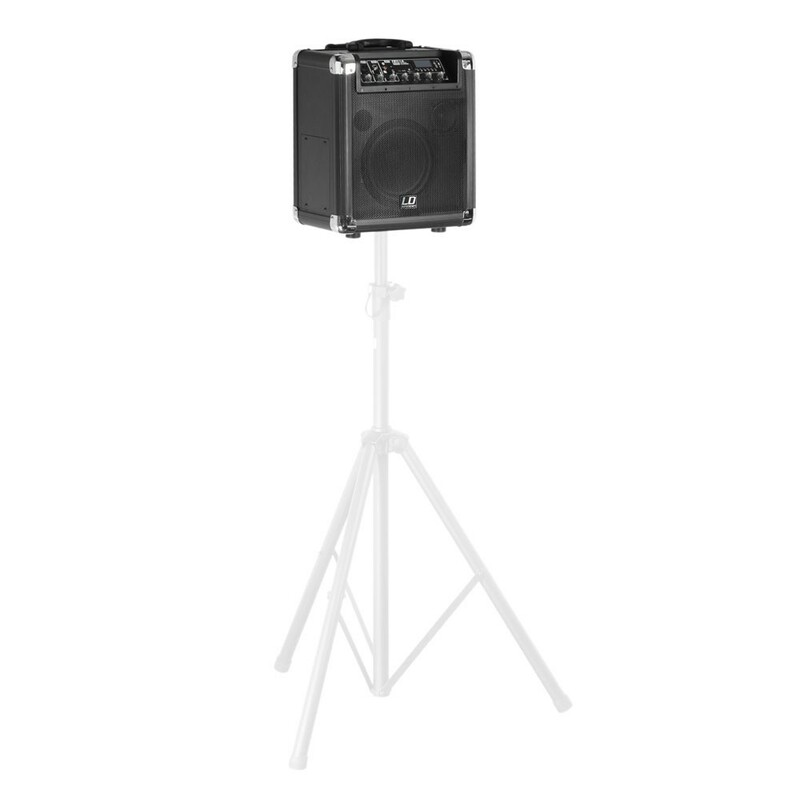 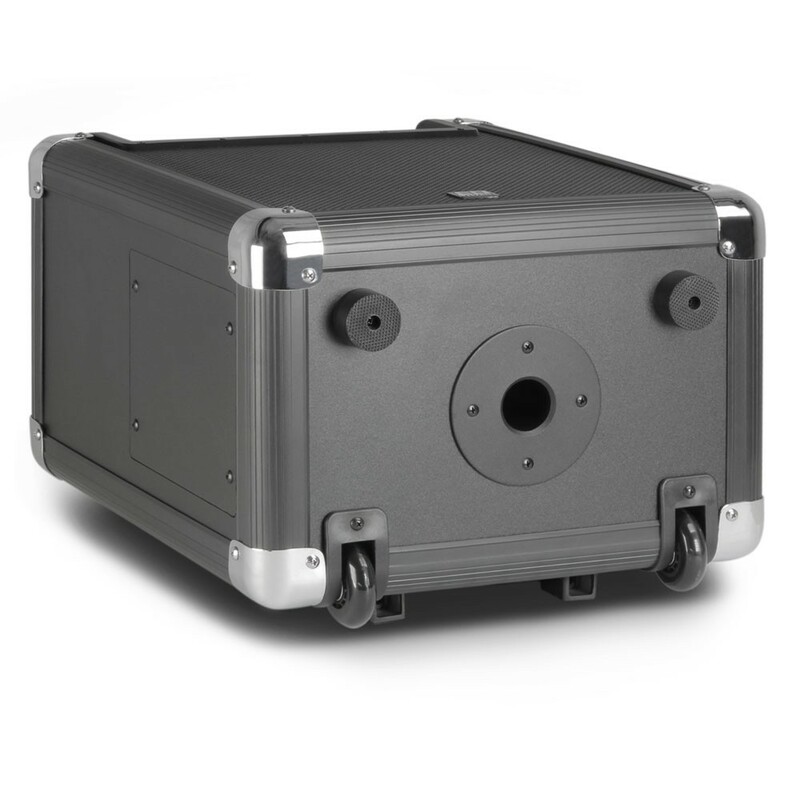 Protective cover for the LD Road Jack 8” portable PA Speaker. 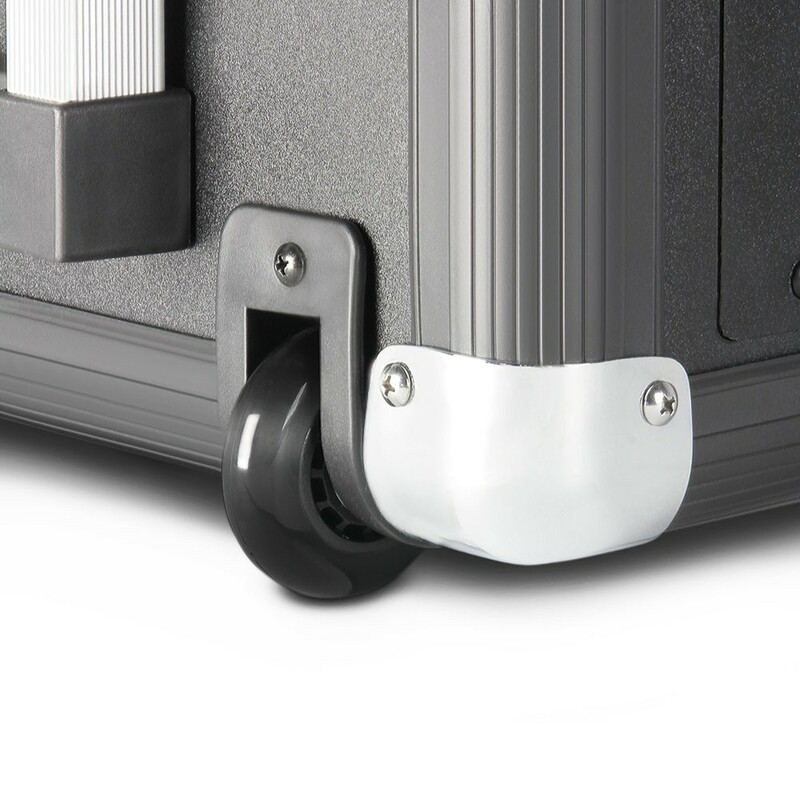 Made of resistant Nylon 600D with 5 mm padding, lateral additional pocket and easy access to the carrying handle.